We countdown some of our favourite, and best, free photography apps for iPhone smartphones. As the cameras in smartphones now feature12-24 megapixels, many of us are reaching in our pockets when we need to capture an image rather than taking our cameras off the study shelf. With more advanced smartphone cameras come more smartphone photography apps with hundreds now fighting for our attention in the Apple App Store. Some you have to pay for but there are still a good amount which are free to download and use (they do have in-app purchases but you can ignore them) on your iPhone X, iPhone 8 Plus and other older Apple iPhones. Due to the number of apps on offer in the app store, it can be tricky to navigate as well as decide which apps you should download. Of course, there are reviews to assist you and if they're free, you can always download and delete if you find one to be particularly rubbish but to give you an even quicker overview, we've put a list of our favourite free photography apps available for iPhone users. The photography apps on our list range from photo storage to collage creators and a whole host of photo editing apps. They're not in a particular order but Snapseed is at the top as, out of all the apps featured, we think it's the best. If you have a favourite free photography app that's available on the Apple app store, please leave a quick comment about it below. 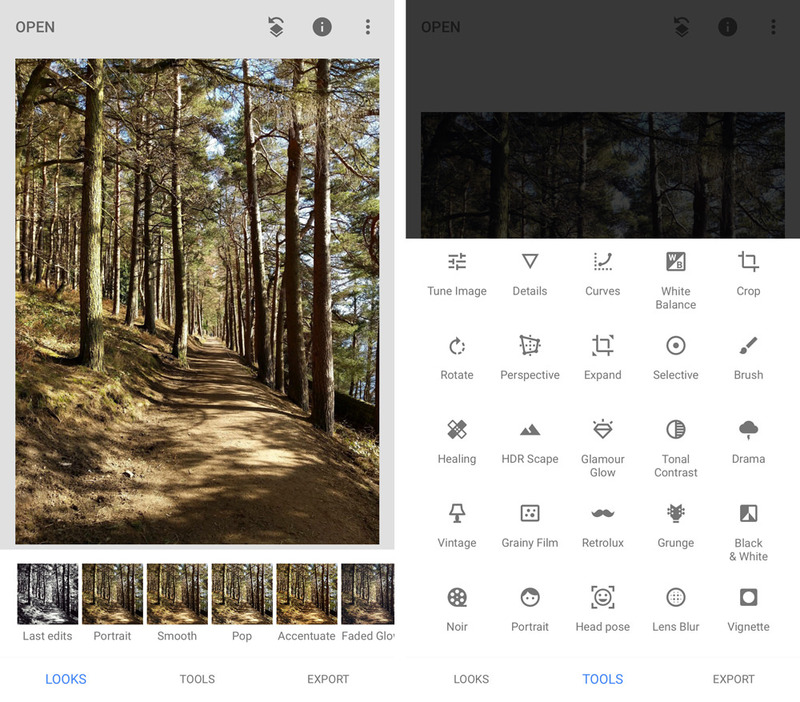 Snapseed is a free photo editing app, created by Google, and it's one of the most popular photo editing apps available for the iPhone. Why is it so popular? 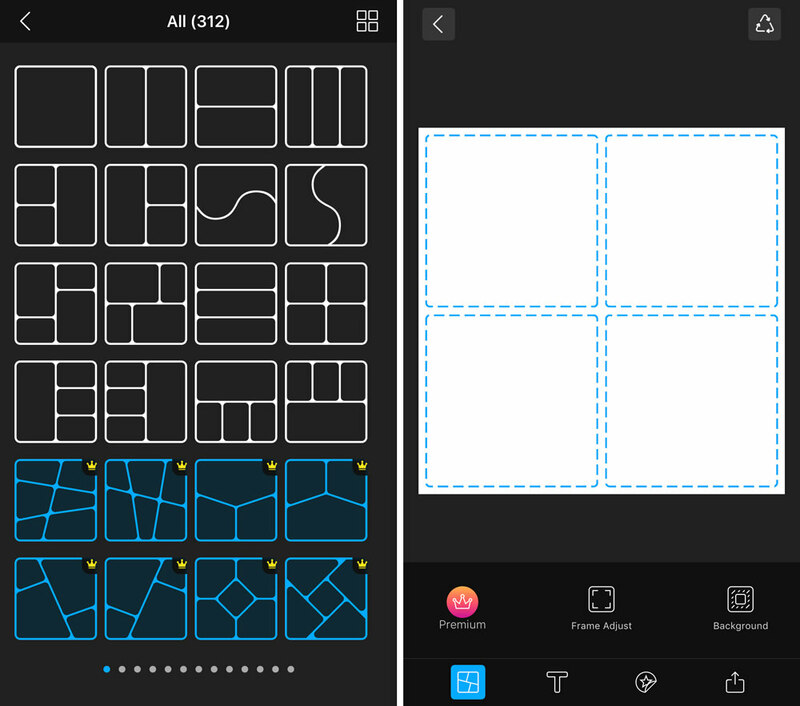 Well, it's free (that always helps), easy to use and offers everything you need to make quick basic image edits/enhancements on your smartphone. 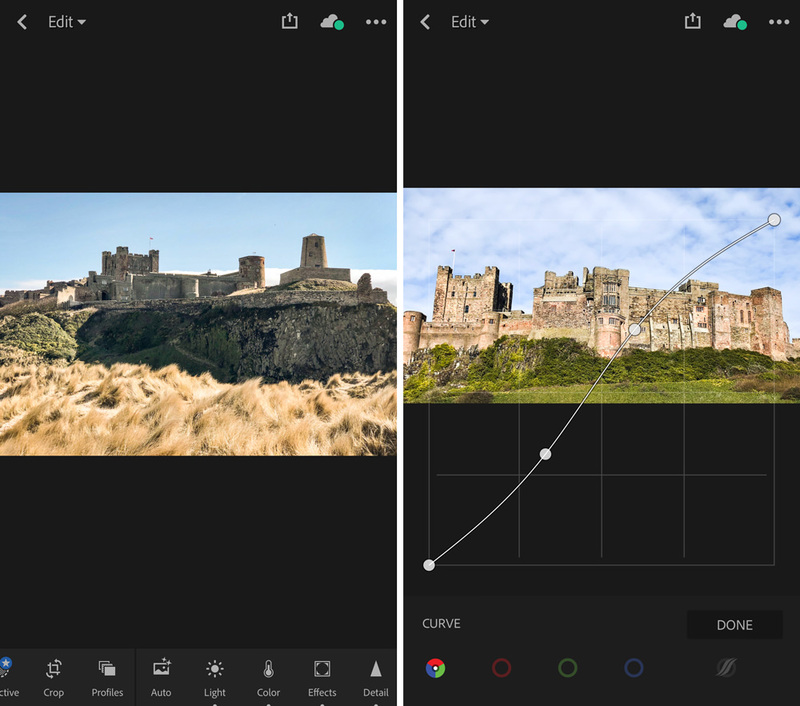 Snapseed is a universal photo editing app, so called because it offers everything from applying filters to making curve adjustments, cropping and more. In fact, there are 29 tools and filters currently built into the app and Google do release updates to keep the editing app fresh and relevant. You can have as much or as little control over photo edits as you like so, for example, a novice can simply apply filters while someone with more advanced photo editing knowledge can play with levels, brushes, healing tools and more. You can also save presets for use later on and edit RAW files as well as JPEGS. Pus, all changes you make can be removed making the photo editing system non-destructive. The filter list is pretty long so we won't list them all but trust us when we say there are plenty to pick from and all styles can be tweaked with a great deal of control. When it comes to saving images, you can choose the quality level the image is saved at in the settings menu. If you currently don't have Snapseed on your iPhone you should download and try it as we think you'll be impressed. VSCO, which stands for Visual Supply Company, is another pretty cool free photo editing app that iPhone users can download. The VSCO team regularly release updates to improve the app and also offer advice on how you can edit your photos but there are some app features you can't access without paying for membership which makes it more limited than Snapseed. You can mainly use the app to emulate film with presets but you can make exposure, contrast and brightness adjustments directly. There are also options for cropping, straightening and skewing images. Simple sliders increase/decrease effects and all edits are non-destructive thanks to the recipe system that's built in that is a bit like Photoshop's history panel. When you save an image, it does just save in the app so to add it to your camera roll you have to manually select the option. If you want a quick way to apply filters to photos then VSCO might be the app for you. If you want access to more advanced controls without having to pay for them, you probably want to look elsewhere. If you have a Google account, you have access to a free Google Drive which gives you access to unlimited storage space (restrictions apply) and it works with Google Photos, Gmail and Google Docs. Images can easily be added to Google Photo by 'dragging and dropping' them and files can be made available offline so you can view them even when you're not connected to the internet. When uploading images, Google will ask if you want to save 'high quality' images so you can take advantage of the free unlimited storage by saving images at a reduced file size or you can save original files but this will use your 15GB of free storage space. If you do need more than 15GB of storage, you can pay monthly for 100GB, 1TB or 10TB of data but if you simply share images on social media where high-res files aren't needed, you probably won't need the bigger storage options on offer. Image files need to be under 16MP to take advantage of the free storage option which means you can still print 24x16" images. As for video, anything higher than 1080p will be reduced in size. If you have a Pixel, you get unlimited free storage at the original quality for photos and videos uploaded from your phone. Google Pixel 2 owners get free unlimited original quality storage for photos and videos uploaded from Pixel before Jan 16, 2021. After that, new photos will be uploaded at high quality for free. 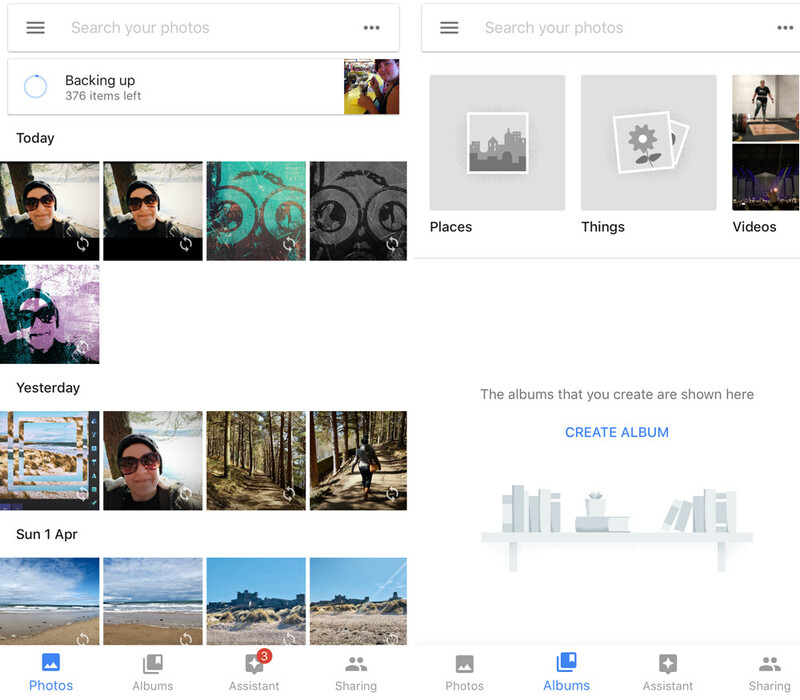 Image are organised into smart albums and you don't need to tag photos to be able to find them, just type in what you're looking for and Google will dig all of the related images out for you. Even if you quickly use all of the 15GB of free storage saving full resolution images, it's still 15GB of storage you've not had to pay for so Google Drive is well-worth downloading. Creating collages aren't for everyone but they are a great way to quickly share a serious of photos on social media or send a message such as 'happy birthday' to someone along with a selection of images. With Collageable, you get accessories to various frames in which you can add multiple photographs to. To add images, you select the collage frame you want to use, then click on one of the empty spaces to add images. 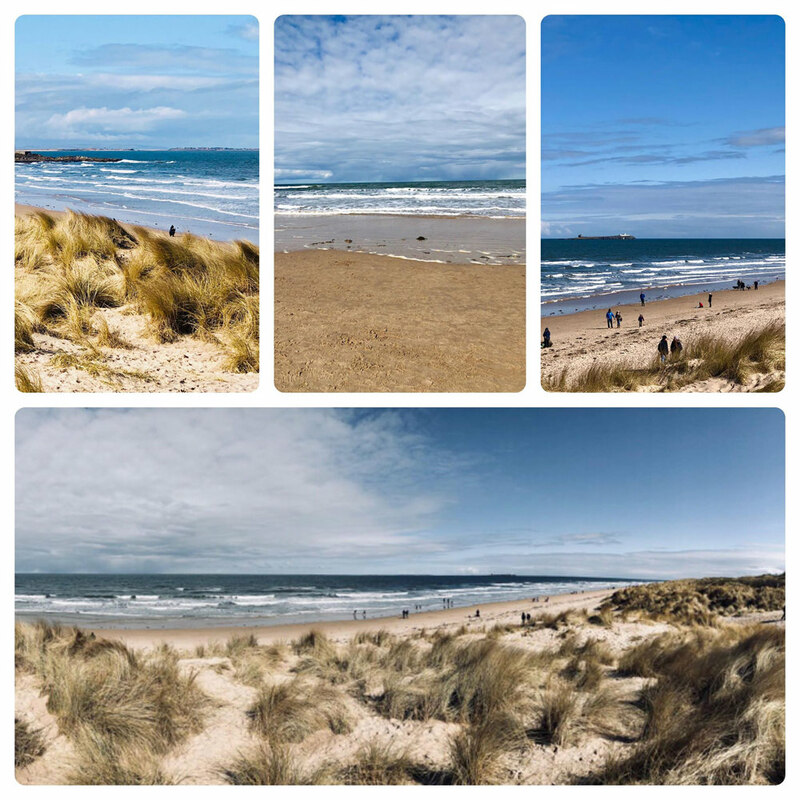 You have to add the images in the order you want them to appear as you can't move them around very easily once they are in place but there is a guide at the bottom of the app which shows you where your images will be placed when adding them. You can adjust the frame's ratio as well as add colour to the frame and there are stickers you can apply to your collages (should you want to). There's an option to add text which is adjustable (size, colour, shadow etc.) and if the image is bigger than the frame it is sat in you can move it around to find a composition you like. Not all collages suit all photos but you won't know this without a bit of trial and error, although, the square/rectangle shapes are pretty reliable. 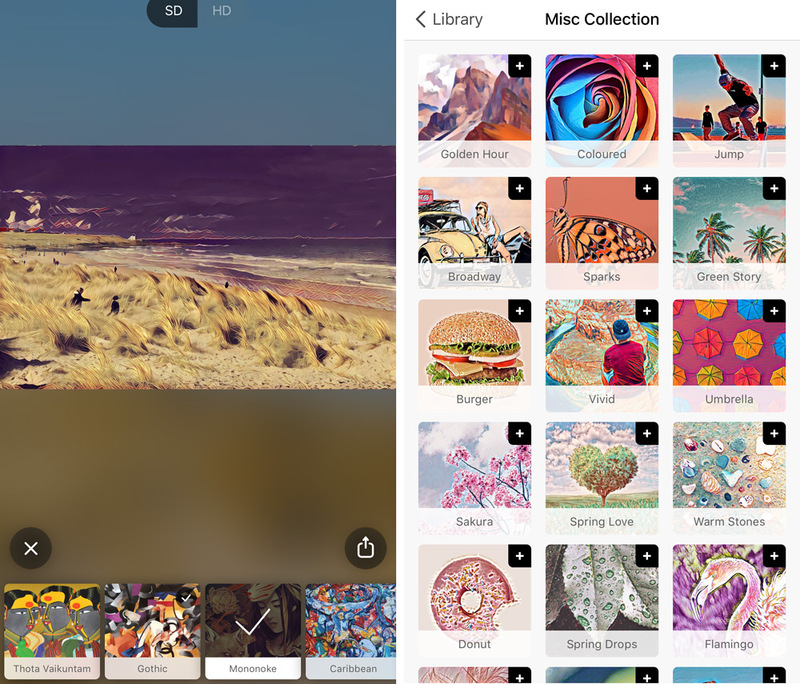 Collages can be saved to your camera roll or sent straight to social media channels - an option many will probably use. Unlike Adobe's other products, Adobe Lightroom CC is actually free to download and it's a really useful app to have on your iPhone. 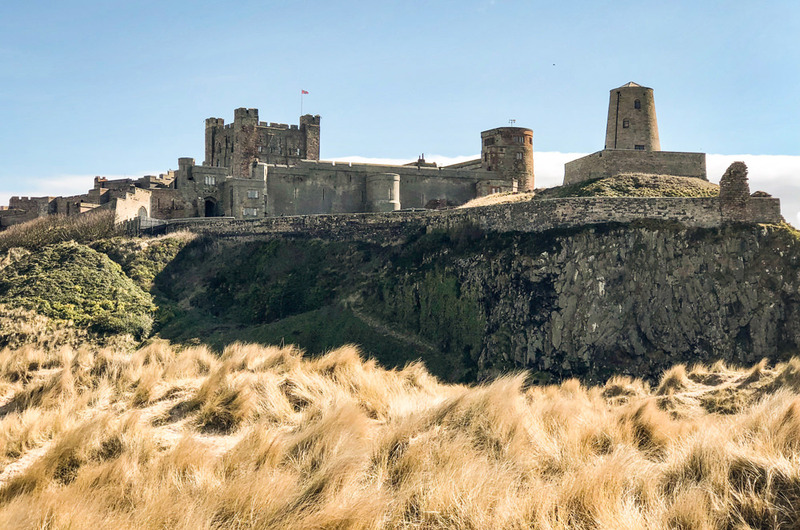 As well as editing images, you can capture images and when you do, DNG RAW files are saved to your device to give you more creative control when editing. There's also an HDR mode to expand the range of the exposure and 5 presets can be applied live so you can see how the effect will change your image before you press the shutter button. On a side note, to use the DNG format you need to have iOS 10 and a device that has a 12MP camera. When it comes to editing, you can use one-tap presets or take more control with the adjustment and correction tools you find in Photoshop and other photo editing software. You can copy favourite edits across multiple images, and make advanced edits with the tone curve tool to change the colour, exposure tone and contrast. You can see a before/after preview by clicking and holding the images and when you're done, photos are saved to Lightroom's album and you can also save the image to your camera roll or share it on social media. All edits are non-destructive as you can 'undo' everything you do and images can be saved 'at the maximum size available' or 'small' which is around 2000 pixels wide. As with the desktop version of Lightroom, you can organise photos via ratings/flags etc. but to access the Adobe Creative Cloud, use the selective adjustment tool and to create web galleries, you need to upgrade to the premium version of the app but in all honesty, there are enough tools on offer that you probably don't need to. If you like to play around with bokeh, light leaks or even weather patterns, Lens Distortions could be the app for you. You can create mood, add an art-like quality to your photos or simply add a hint of light to bring your photos up a level so they're attention-grabbing for all of the right reasons. The app is really easy to use; just open up the image you want to edit and choose what effect you want to apply to it. You have multiple light bleeds, light hits, fog patterns, rain, snow and bokeh to choose from and you can add as many or few of the effects as you like. To apply an effect, you just click on it and it's placed onto your image. To move the filter/effect around, simply push it around the screen with your finger and you can also change the strength, opacity, brightness and contrast levels. Saving images is straightforward and the effects are actually pretty cool although, they won't be to everyone's taste. If you want to get a bit arty are simply want to make your Instagram posts a bit more desirable, then take a look at Lens Distortions as you'll probably like it. 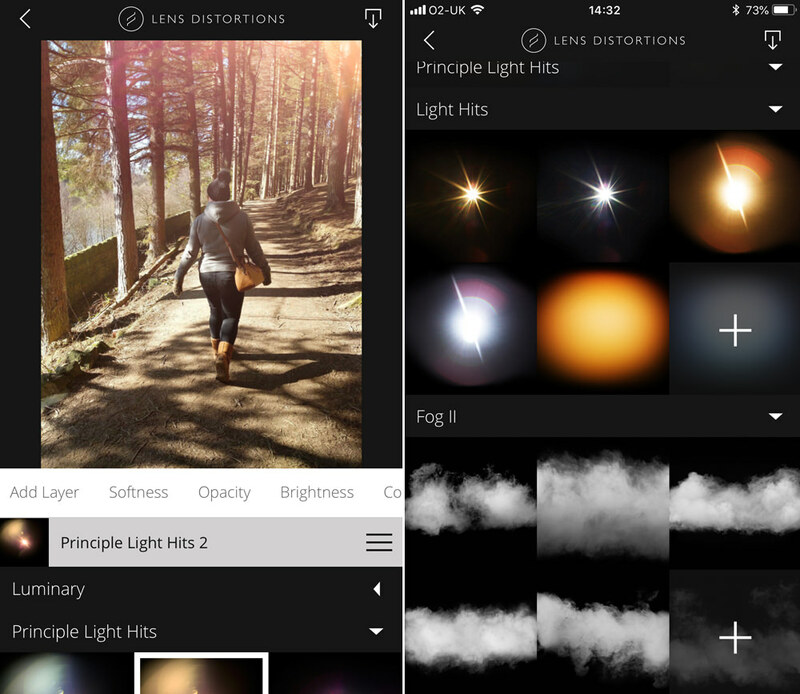 The Darkr app is a tricky one to get your head around at first but once you have it sussed (there are good tutorials to assist you), it's actually rather fun. 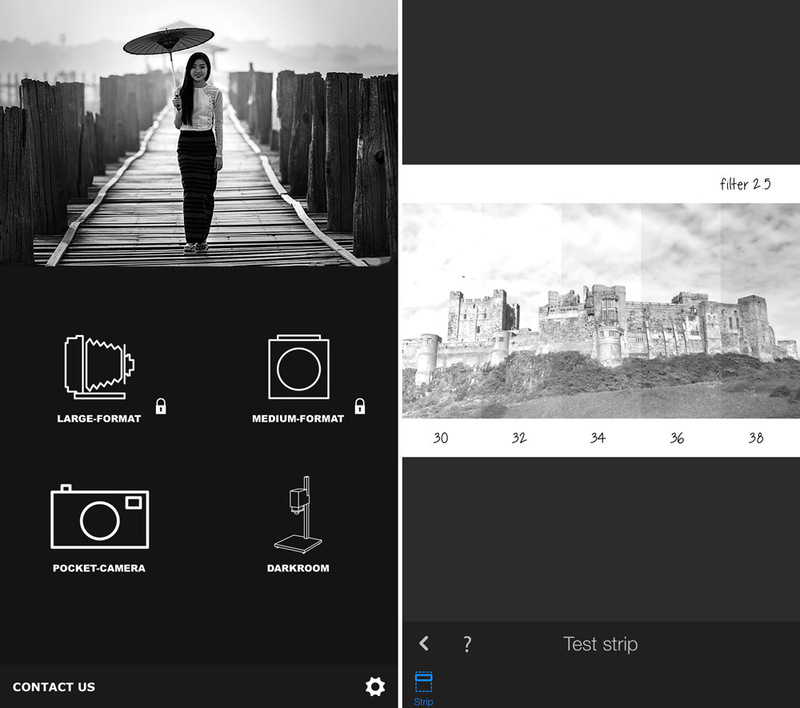 The app is designed to emulate a real darkroom on a digital platform so you have to work out how long the enlarger should be on for and how long to expose the photographic paper to light. To help you make your decisions, the app gives you test-strips which you can swipe through. You can also change the contrast levels by swiping left or right and there are Dodge & Burn tools available (something you may be familiar with if you worked with darkrooms in the past or use Photoshop regularly) as well as tools to crop, rotate and add blur to images. The app turns all of your images in your camera roll to negatives, which is pretty cool, and you just click on the one you want to edit in the digital darkroom. You can zoom in and around your photo for more control and all of the options are easy to use/apply. However, just like a real darkroom, you can't undo any changes you make so some may find it a little frustrating. It has several built-in camera modes which are fun but not very practical and as you probably already guessed, all images are black & white when completed. Prisma turns images and video into digital art pieces, taking influences from styles of famous artists such as Van Gogh and Picasso. The app couldn't be any easier to use and you get access to hundreds of art filters which are applied to your photos with just one click. Obviously, not all filters suit every photo and unfortunately, you can't edit or adjust the filters once they're applied (what you see is what you get). We expected the app to be a little bit corny but in fact, you can create some interesting looking images (if digital art is your thing, that is). The app creators have also now introduced a feature which allows you to clip the background so you can choose to have the effect applied to just the foreground, just the background or all parts of the image. Although, it does look a little weird with an effect only applied to part of a shot. Prisma won't appeal to everyone but those who want to create fun social media profile pictures or just want to play around with digital art without too much messing will enjoy using the app. 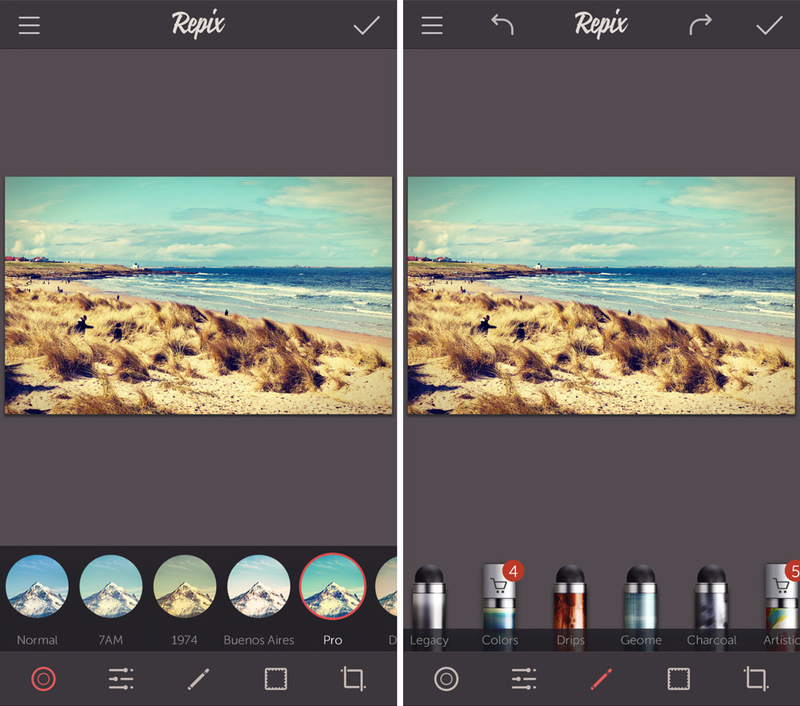 Repix is a photo editor that got the accolade of 'Editor's Choice' on the app store and it gives users access to brushes for free editing as well as built-in effects, filters and borders. There are 28+ effect brushes available, 16 filters, 11+ frames, a cropping tool and adjustment tools available and images can be shared directly to social media as well as shared in your photo roll. 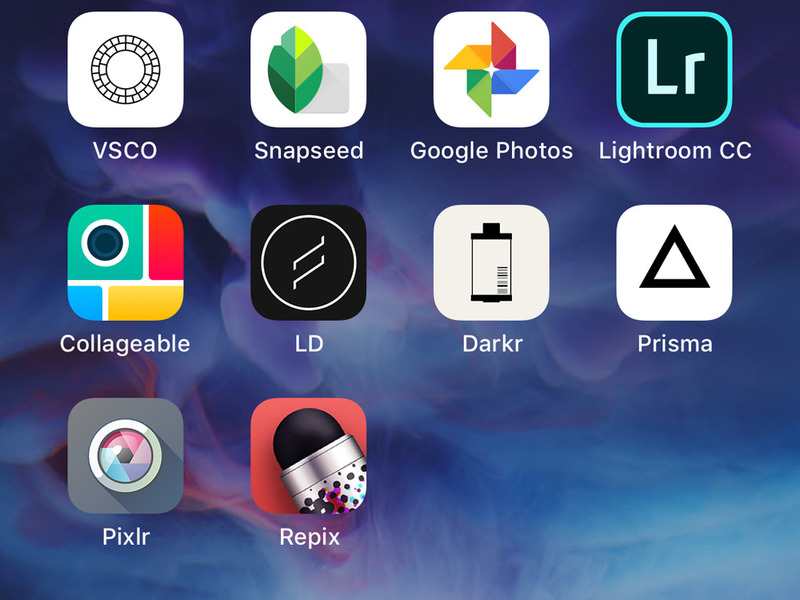 It's a mixture of digital art and basic photo editing which means it's good but not as great as other apps we've mentioned further up the list. 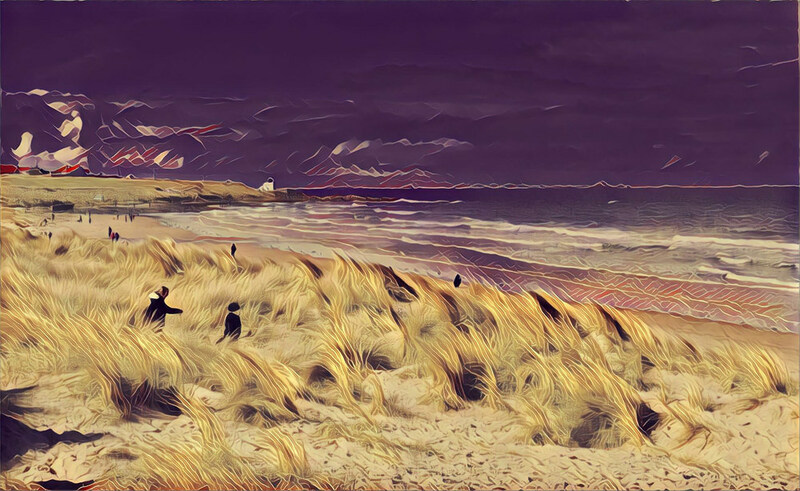 There's not as much choice of digital filters as you find in Prisma and Snapseed gives you access to more 'manual' edits and adjustments but for someone wanting a hybrid app that's easy to use, you can't go wrong with Repix. 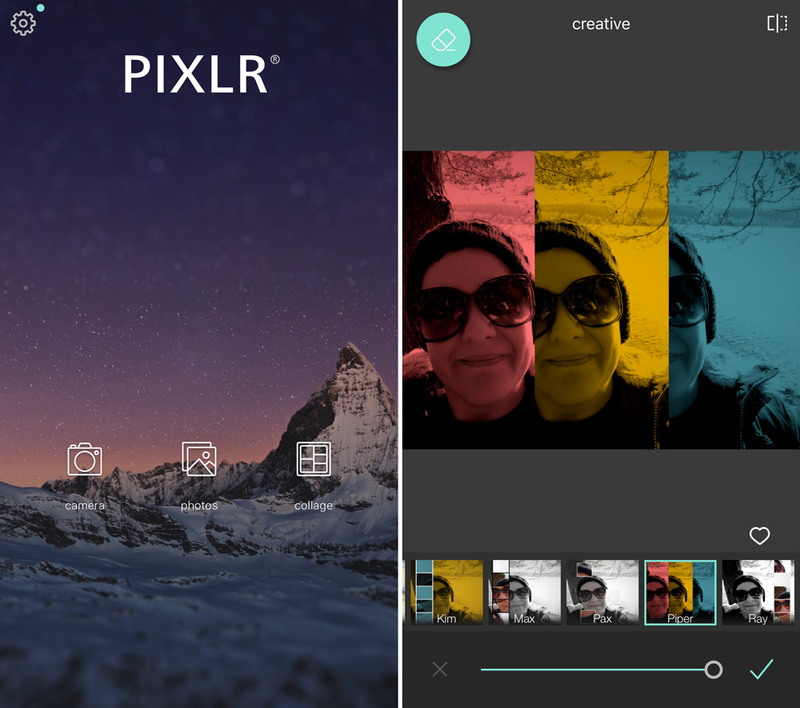 Pixlr is another free photo editor (we like to give you choice) that's bursting with free effects, overlays, and filters. You can create photo collages, make one-click adjustments, layer/blend multiple photos, create digital art, fix blemishes in selfies, add text, create borders or simply resize photos. It's another app that's laid out well and is really easy to use. 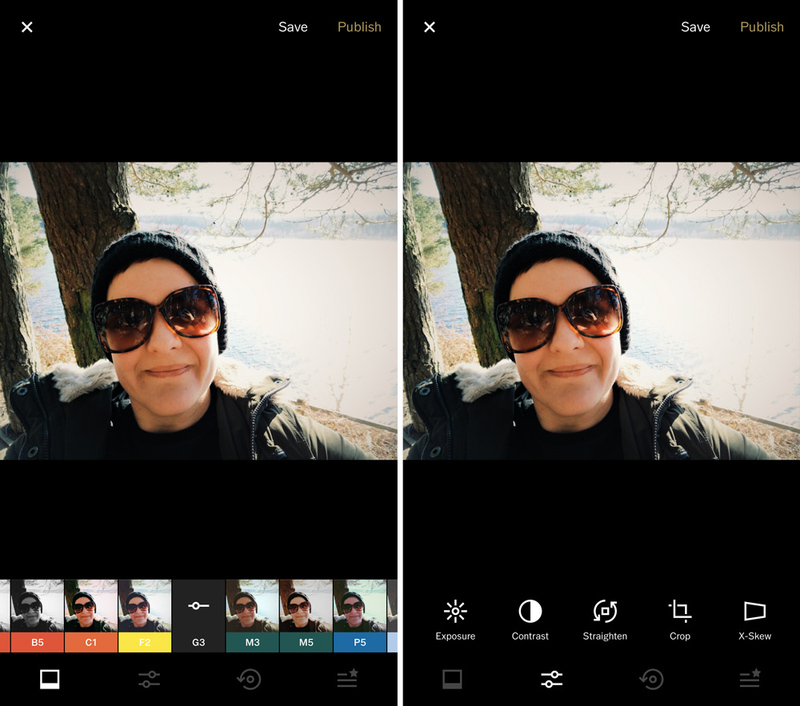 From the home screen, you can choose to take a photo, pick a photo from your camera roll to edit or create a collage. Once you’re done, you can share your finished work directly to Instagram, Facebook, Twitter etc. or your camera roll. There are some useful tools built in but the effects aren't as good as those found in some of the other apps mentioned but the ability to create double exposures and apply colour splashed with just a few adjustments is cool. 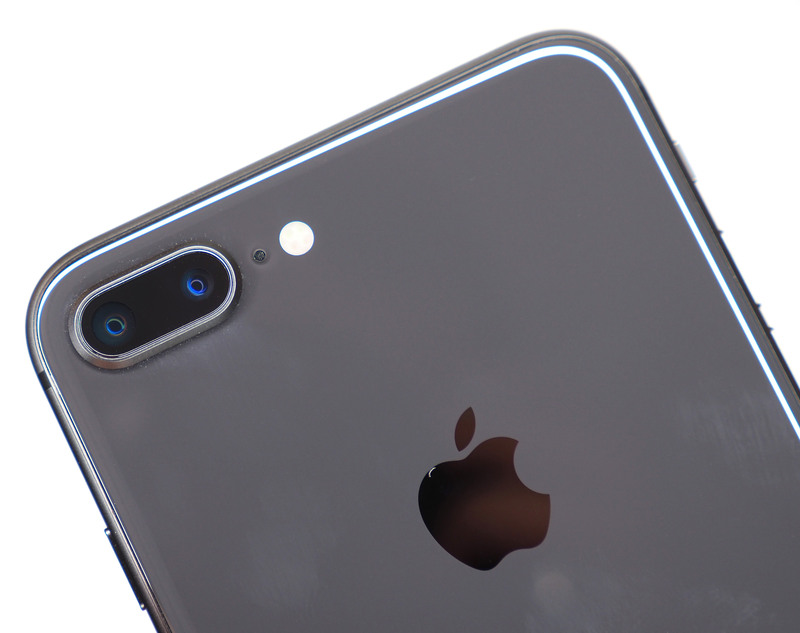 For more smartphone related content, check out the Camera Phones category of our 'Best Gear' section of the site.